*** Please contact the owner directly (715) 505-0763 *** Beautifully updated Home on the best level lot on Prairie Lake. 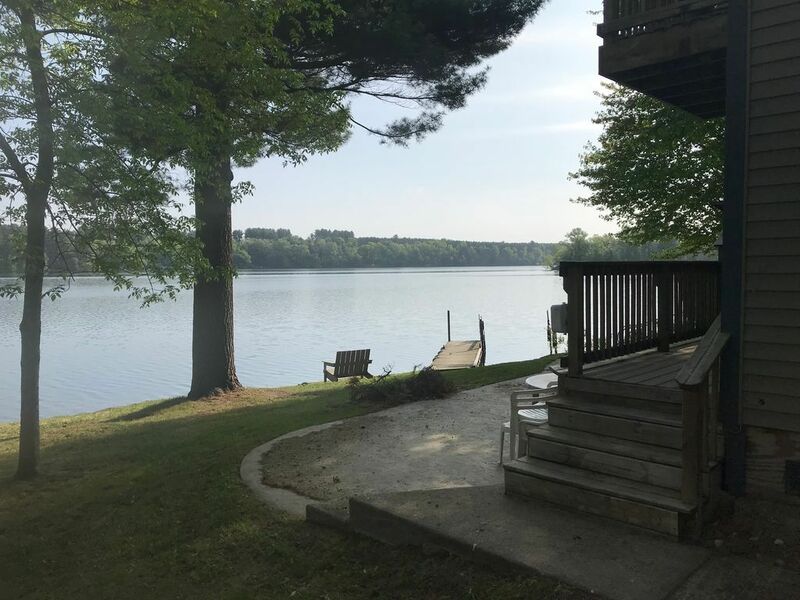 Spacious Bedrooms to bring all the kids and their friends, great cooks kitchen, huge living room, oversize attached garage for all your toys, decks, patios and more to entertain and enjoy lake life! The location is just one of the features with natural gas, close to town, less than hour drive to Eau Claire, tons of privacy, wide open water for swimming and boating! WHAT I LOVE ABOUT THE HOME There is an island a few hundred feet away that people come to to swim at the sand bar on the end of it. Prairie Lake is also great for boating, waterskiing, and, fishing. In winter the large dining table is great for holidays. Because of the gentle slope to the lot, plowing a skating rink, snowmobiling, and icefishing are easily accessible. This is a great property year round.